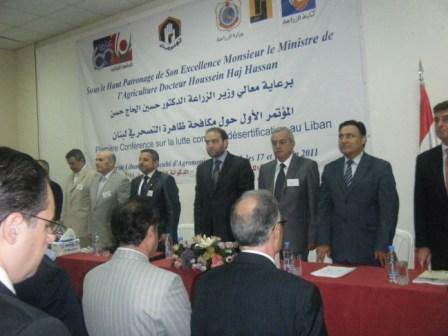 Under the patronage of H.E Dr. Hussein Hajj Hassan, Minister of Agriculture, the conference was organized by the Ministry of Agriculture, the Association of Jihad Al Binaa for Development, Faculty of Agriculture at the Lebanese University, American University of Beirut, Saint Joseph University, Saint Esprit University – Kaslik, Order of Engineers, Federation of Arab Agricultural Engineers, UNDP, ACSAD, FAO Lebanon, and the LCPC. 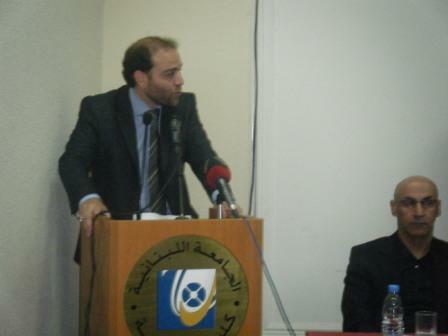 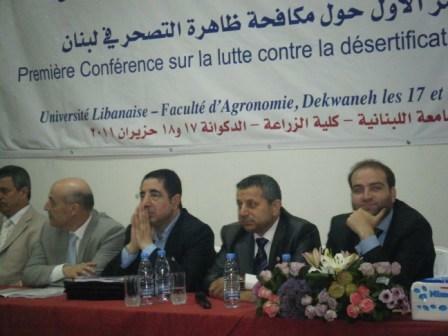 The conference took place on the 17-18 of June 2011 at the Faculty of Agriculture premises. 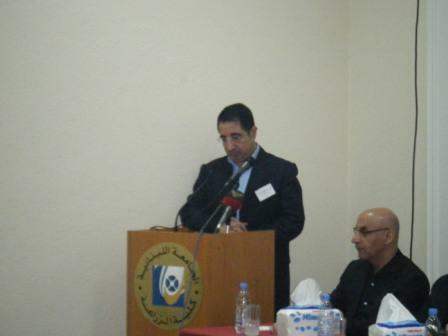 The objectives of the conference were to carry out all necessary measures to put plans and strategies to combat desertification and find alternatives to the scarcity of water and to propose alternative crops to suit with the new situation, in addition to finding new ways to re-greening to Lebanon, which was characterized by green spaces exceeded 30% of the total area.